I offer personal training sessions both online and in person to help you reach your goals. My love for teaching naturally comes out in these circumstances. Transformation is the name of the game. I live in Los Angeles and if you would like to meet me in person, contact me, tell me where you live and we can work it out. I don’t work for a gym but I can drive to your home, office or nearby park of our choosing. I offer online counseling and support using a combination of video-chatting and e-mail. We don’t have to be limited by physical means. This is, after all, the 21st century, and I intend to make use of the technology we have at hand to further our development. First, we will schedule a Skype or Google hangout session which will allow me to get a thorough idea of who you are, what you want, what you do already, what your limitations are and so forth. After the call, I will take that information and help to modify your current routine or come up with a new routine for you if you have none. Then for the rest of the month, you will have unlimited e-mail support where I encourage you to ask me questions and send me form-check videos so that I could make sure you’re doing things optimally. I’m quite detail oriented and I will help to take you to where you ‘want’ to be. I will urge you to frequently e-mail me and tell me how it’s going so we have an ongoing “conversation” and we could tweak things along the way. You will be encouraged to take form-check videos of yourself so that I could provide input. To book an online session with me, the current rate is $300/month of support which includes the video-chat session + routine creation + one month of e-mail support. For a personal session in LA, the current rate is $150/session (around ~90 minutes). Teaching for the masses through blog posts and YouTube videos is one thing, but to do it personally, one-on-one, tailored to your needs is definitely where I excel as my love for teaching naturally comes out when it’s for a specific person. I have extensive knowledge of anatomy and physiology and I naturally think in terms of kinesiology. My forte is in bodyweight exercises which includes anything from zero equipment to many apparatuses such as bars, slacklines, still rings, flying rings, traveling rings or just plain yoga! I emphasize proper form and like to incorporate flexibility training as well (if you need it). I can explain to you the reasoning behind everything we are doing or I could keep things simple, whatever you like. So tell me, what are your goals? Ability to just play and keep up with your kids? Exercise is often associated with losing weight, but it’s also about feeling better, being more confident and secure, having more self esteem, living a fuller life, feeling better in clothes and so on. I believe health encompasses not only the physical but also the mental, emotional, and nutritional. All of these tie in together. I think the job of personal trainers are not only to keep a client injury-free and moving free, but to lessen the collective struggles of humanity. Click here to contact me for availability and consultation! Start out by telling me a little about yourself and your goals. 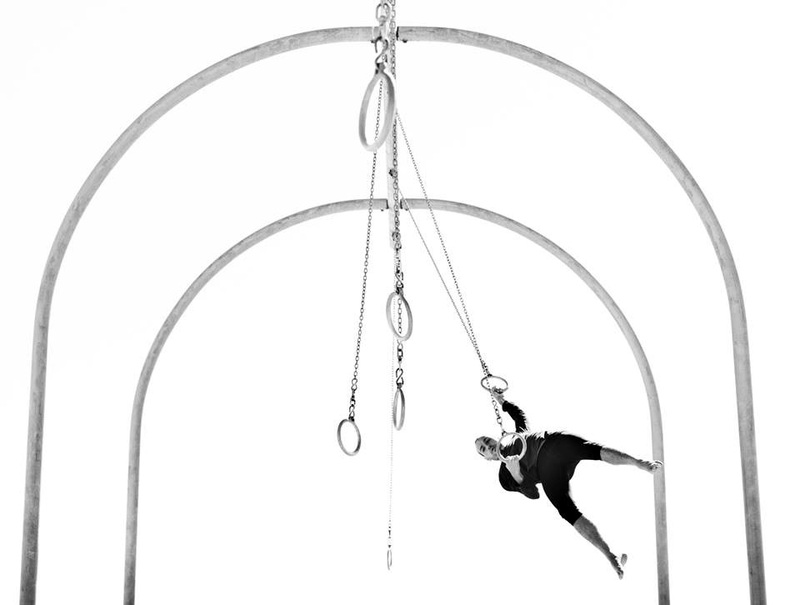 Antranik swinging on the Traveling Rings.